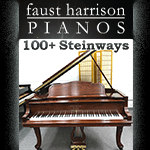 Use this form to submit questions about any of the pianos listed for sale. We will require verification of who you are before putting you in direct contact with the seller. 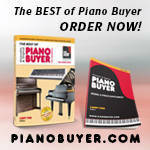 You can use this form if you are interested in a piano for sale. We will pass your question(s) on to the seller. We no longer allow direct contact as we attempt to weed out the scams. If you decide you are truly interested in purchasing one of the pianos for sale on our site, we will need some verification of who you are. What would you like to ask the seller?